In early October, people living the Southeastern United States braced for the impact of Hurricane Matthew, after it carved a large path of destruction throughout the Caribbean. 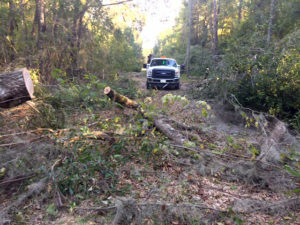 In Florida, over 1 million lost power, while Georgia and South Carolina had 478,000 without power. 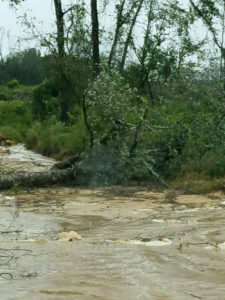 Damage was mostly confined to the coast in the Florida and Georgia, but torrential rains spread inland into the Carolina’s, causing widespread flooding and destruction. 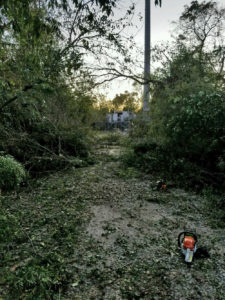 ESSE supported customers including vital telecommunications, radio, lift stations, waste water treatment centers, wells, 911 centers as well as other businesses and homes with standby power following the storm. In total, the storm killed 49 people in the United States with an estimated economic loss of $4–6 billion. 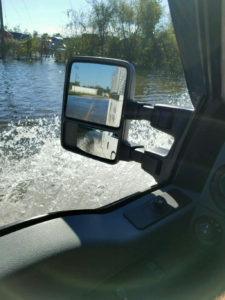 It was one of the costliest storms in history, but advanced warning and evacuations helped save lives. 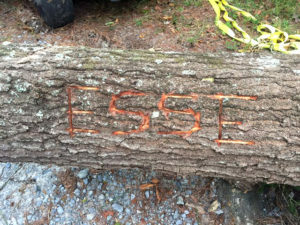 ESSE will continue to assist our customers in the face of storms – helping communities get back on their feet after a disaster. While integrated, on-generator paralleling solutions have been available for more than a decade, some users only consider paralleling for large kW and mission critical projects due to perceived cost, space requirements, and complexity. With the advent of on-generator controllers, paralleling systems are being used more frequently for modest or low kW projects due to the advantages in reliability, redundancy, scalability, flexibility, availability, serviceability and ease of use offered by these newer systems. They are also used on projects where space requirements pose challenges for larger generators. Parallel generation offers many advantages versus single genset configuration including better reliability, redundancy, reduced cost and space requirements, and the flexibility to add or subtract generators from the system depending on growth and usage. “Generac’s Modular Power System (MPS) feature generator mounted paralleling switches which allows the generators to automatically connect to a common generator bus without the need for external switching devices. With the on-generator integration of the paralleling switching, there is no need for expensive and complicated third-party switchgear,” said Mark Sweeney, Business Manager – North Central for Generac. The generators are simply cabled to a common electrical connection point: junction box, large transfer switch, or a distribution panel. Through this level of integration Generac has been able to offer thousands of parallel solutions at the price point of single larger capacity generator (i.e. 3 x 500 kW for the same cost as a 1 x 1500 kW). The MPS extends up to 2000 kW with a different hardware configuration to support the system capacity increases. Parallel power generation is simply more reliable than single engine generator solutions. With multiple generators on call, redundancy is built-in and reliability is increased because each generator backs up the other. The resulting gains in reliability for the critical loads are significant. For example, if a standby generator has an assumed reliability of 98%, an N+1 configuration has a reliability of 99.96% and an N+2 configuration has a reliability of five nines (99.999%). “A common concern is that the redundancy benefits result in significant added costs because one or more of the generators are under-utilized,” noted Sweeney. “However, most applications have typical load levels at 50 to 60%, with little or no load shedding, which means you can easily achieve N+1 redundancy for the application’s mission critical load,” he explained. For ground up designs, mission critical loads are often separated onto their own circuits. In these configurations, typical load factors may even be higher and still maintain N+1 or N+2 redundancy for the most critical loads through the ability to shed less critical loads. 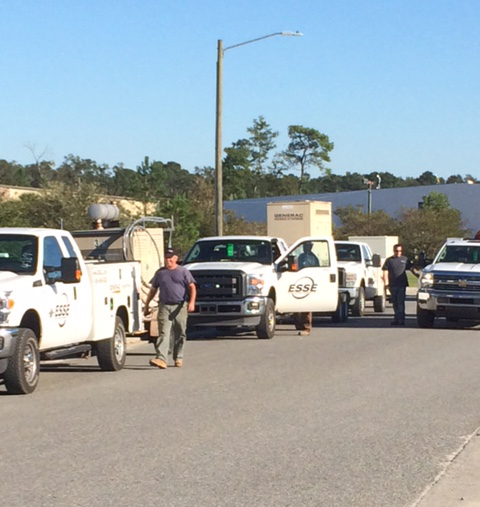 Many times when sizing generators, it is difficult to adequately plan for anticipated load growth. If growth projections are too aggressive, precious project capital is expended before it is necessary. If growth projections are too low, the facility may be left without reliable standby power or require expensive generator upgrades. Generac’s MPS solutions allow users to simply “plug and play” additional generation modules anytime they are required. Smaller units of different kilowatt ratings could be used in any combination to meet a particular load profile. 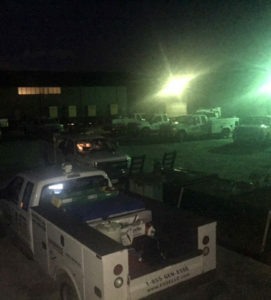 “For a growing facility, being able to easily expand the capacity of generators reduces the initial cost as a more modest generator system can be specified. This lower initial investment can help meet budget or capital constraints while offering the flexibility to add onto the system quickly due to unexpected growth,” said Sweeney. Utilizing multiple smaller generators instead of a single large unit solution also offers greater application flexibility. This can be a significant advantage in meeting many site-specific logistical constraints. Multiple smaller generators offer greater weight distribution making roof-top installations more feasible. This provides a compelling option versus installing a larger generator into the building requiring the use of a complex remote cooling scheme. Smaller generators are also shorter and lower, providing flexibility in applications with height or depth constraints. This often opens up the parking garage as another location possibility for the generators. In addition, the generators do not need to be located side-by-side or even together, thus providing significant installation flexibility for retrofit projects. “We have seen a significant increase in paralleling solutions for modest kW projects as more and more engineers and specifiers realize that on-generator paralleling significantly reduces the cost and complexity compared to traditional paralleling which relies on bulky third-party switchgear,” said Sweeney. For more information about Generac’s multi-faceted MPS solutions, please contact us. Consulting-Specifying Engineer’s Product of the Year (POY) contest is the premier award for new products in the HVAC, fire/life safety, electrical, and plumbing systems engineering markets. 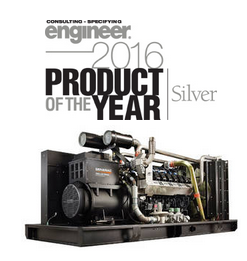 Generac’s 500kW Gaseous Standby Generator earned a Silver Award in the Emergency, On-Site, Standby Power category, and was the only generator listed among the nominees. The Generac 500kW natural gas genset is powered by a 25.8-L, 12-cylinder engine that is turbocharged and after-cooled, producing a standby power rating of 500 kW and prime power rating of 450 kW. Ideal for large standby power applications such as office buildings and mission critical data centers, the unit can be installed as a single-engine generator set or as part of Generac’s Modular Power Systems for increased reliability, redundancy, and flexibility, as well as greater scalability for future growth. To view Generac’s award, as well as the other winners, click www.csemag.com/POY. Contact us to learn more about the 500 kW gaseous generator or any of Generac’s gaseous gensets. The sizing of the generator system for a hospital is influenced by many factors. At the most basic level, the generator system needs to have enough kWs to power the essential electrical systems (life safety, critical, and essential equipment) and any desired non-essential equipment. One of the potentially significant non-essential equipment circuits is air conditioning. Current, relevant healthcare codes don’t mandate that hospital air conditioning be backed-up on the emergency generator system, but many system designers understand the importance of air conditioning to a hospital’s primary function. In addition to general comfort, temperature is extremely critical to many patients in a hospital: open heart surgery, cardiac recovery, intensive care units, intensive care nurseries, etc. For hospitals in warm weather climates, the functional need to have about 60% of the chilling capacity backed-up is fairly compelling. From a healthcare code standpoint, generator capacity is defined in National Electric Code (NEC) 517.31(D). The essential electrical system shall have the capacity and rating to meet the maximum actual likely load at any given time. This sizing requirement is significantly different than NEC 700.4 for emergency systems which requires sizing for all connected load. Due to the large theoretical size of a hospital’s critical emergency system circuit, NEC 517 specifically identified that NEC 700.4 does not apply. Sizing should be based upon a combination of factors: prudent demand factors and historical data, connected load, and Article 220 NEC calculations. The method of sizing should facilitate a practically sized generator that minimizes potential prime mover operational problems associated with lightly loaded generators. 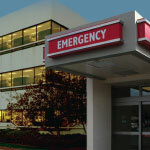 Most hospital applications are designed around diesel fueled generators. Though diesel generators offer a cost advantage over large natural gas powered generators, the main reason for diesel is a strong code bias for the perceived reliability of on-site fuel. NEC 700.12(B)(3) requires that the generator(s) shall not be solely dependent on the public gas utility unless the probability of concurrent gas and electric failures is shown to be acceptably low to the satisfaction of the authority having jurisdiction (AHJ). Faced with this strong code positioning, most system designers and facility managers may get a false sense of security in the reliability of on-site diesel and an overly pessimistic perception of the reliability of natural gas generators. National Fire Protection Association (NFPA) 110, which covers emergency standby systems, has a more balanced view of the reliability advantages and disadvantages of both diesel and natural gas. NFPA 110 accepts natural gas as an acceptable fuel unless the installation location has been shown to have high probability of gas failure. The NFPA 110 standard understands that for diesel to be reliable it must be maintained. System designers will typically design the amount of on-site diesel to allow the hospital to defend-in-place for the duration of a major event. In recognition of this need to defend-in-place, the Joint Commission created a 96-hour rule. The requirements contained in EM.02.01.01 EP 3 (the 96-hour element of performance) is often misunderstood. Hospitals seem to feel that this rule requires them to stockpile or make provisions to sustain operations for a full 96 hours. On the contrary, this requires hospitals to plan their actions for the first 96 hours after a disaster and does not imply that they should prepare to stay in operation regardless of the circumstances. From a generator standpoint, some system designers misunderstand the 96-hour rule and design the fuel system for 96 hours of full load operation. This creates a significant challenge in managing the reliability of that much on-site diesel. Sizing the emergency system for 96 hours of operation at 50% load may create a more readily manageable solution and better align with generator typical load levels. Extending that run time could be supported with refueling planning or on-site load management strategies. Another interesting strategy to consider is adding some natural gas generators (30 to 50% of desired total capacity) into the diesel generator parallel line-up. The diesel generators could meet the needs for the code required emergency system and the natural gas generators could be sized to further support system capacity robustness and non-essential equipment like air conditioning. Having the benefit of both fuels in the operational mix creates many more contingency options in managing through difficult situations. If you would like more information about emergency power design considerations, contact us.